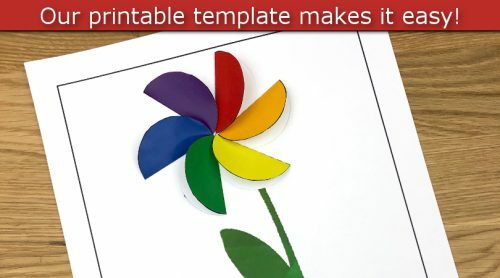 Creating Rainbow Paper Flowers is an easy way for your little one to create paper flowers. 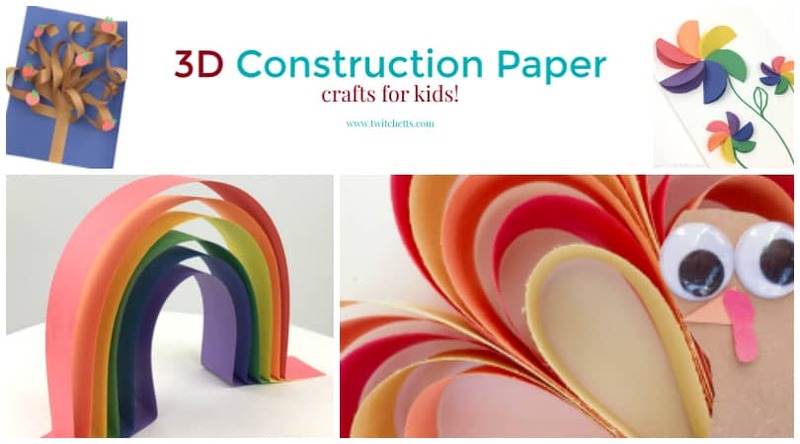 These construction paper crafts for kids are perfect for preschoolers, kindergarteners, and kids of all ages. Use them to create fun pictures, mother’s day cards, or a fun spring craft. Creating flowers out of paper can be elaborate or it can be simple. You know us, we prefer simple. 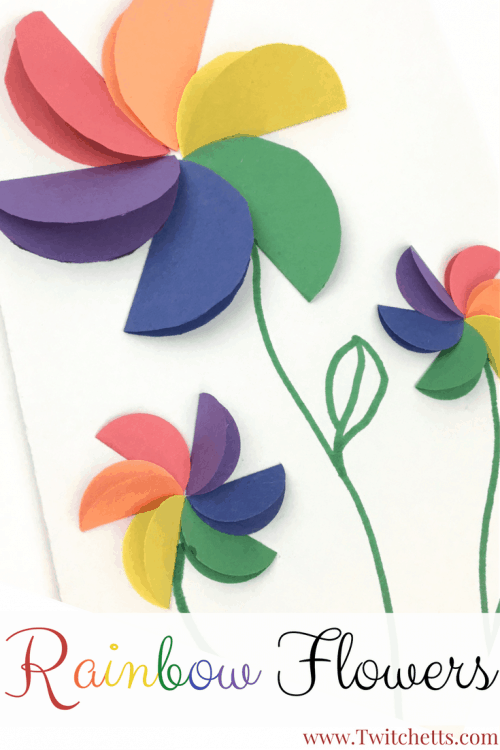 These rainbow paper flowers are perfect for kids of all ages. They can practice their scissor skills by cutting out the circles. Then they can learn about the color wheel when they put the petals in order. Don’t you just love when you can work in a little play-based learning into a craft project! 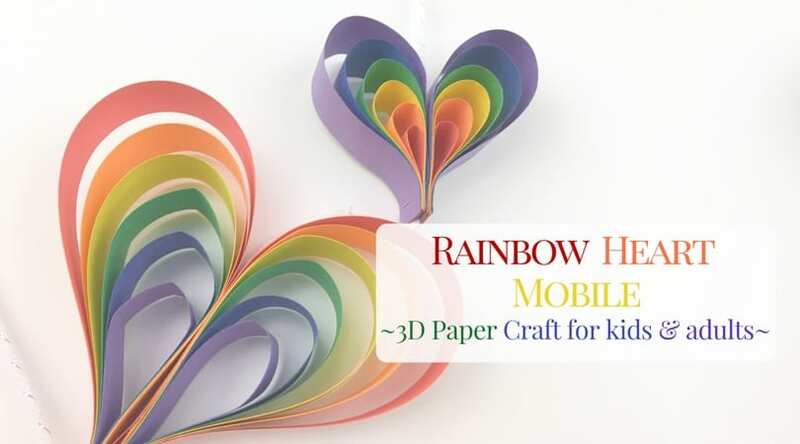 If you love simple paper crafts, you’ll enjoy this rainbow mobile craft! Construction Paper. One sheet for each color of the rainbow and one sheet of white. 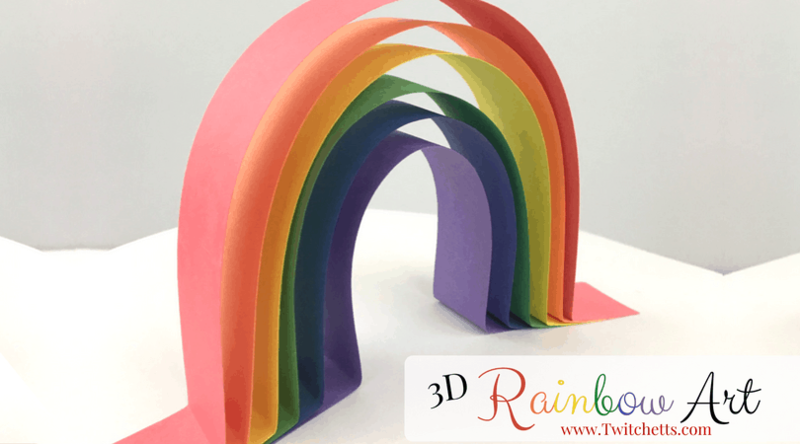 Here is the step by step instructions for creating rainbow paper flowers. Then watch us make the papercraft flowers in the video below! 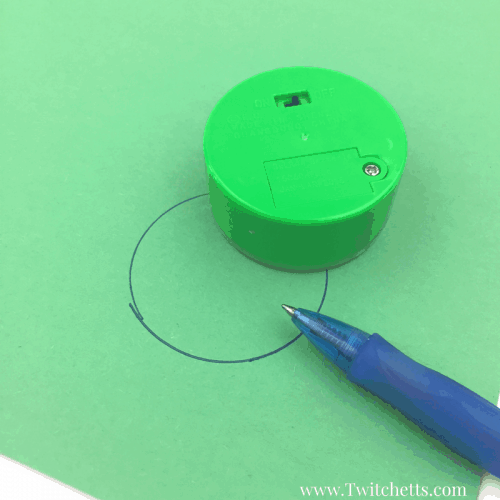 Trace and cut out 6 circles from your construction paper. One circle for each color of the rainbow. (red, orange, yellow, green, blue, and purple). 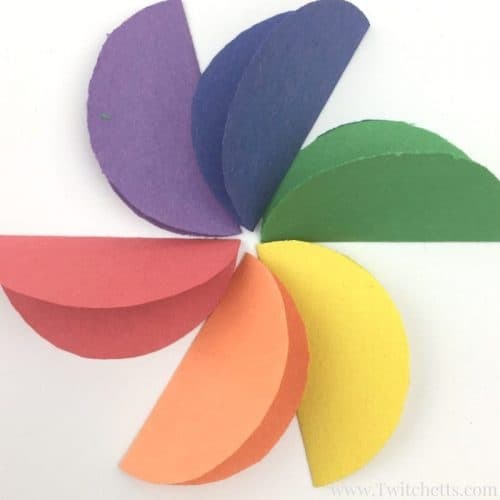 If you’re not making a rainbow flower, just cut 6 circles from any color you like. 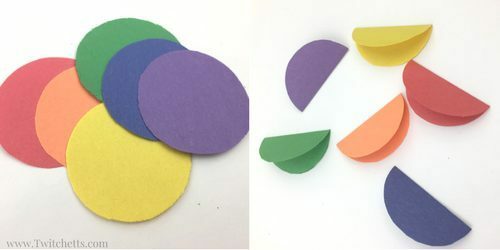 You will need 6 circles to make your construction paper flower. To speed up the process, try stacking a few sheets together and cut them at once. 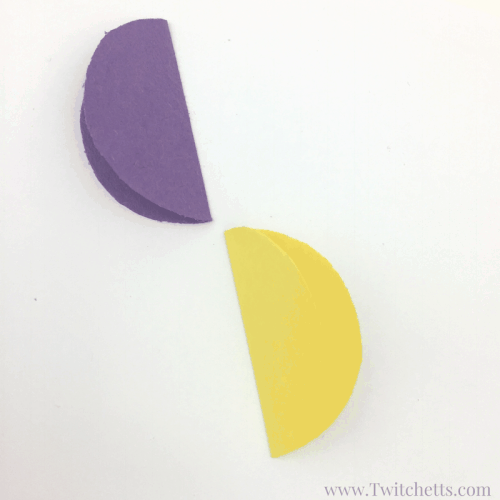 Take and fold each circle in half and crease well. They will look like little tacos. Place some glue on one side of your folded circle (aka taco). Then place the half circle onto a piece of paper. Next, take the opposite color, from the color wheel, and place it across from your first pedal. Be sure that the open sides of your half circles are pointing away from each other. So red across from green, blue across from orange, and yellow across from purple. This will help you space our your pedals. Fill in with the rest of the colors in ‘rainbow order’. Red, orange, yellow, green, blue, purple, and you’re done! 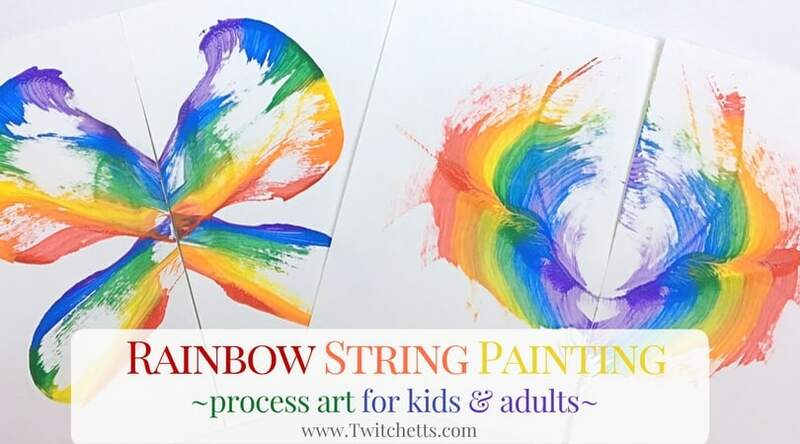 Related Craft: You’re going to LOVE this collection of rainbow crafts for kids!! You can add a stem with a green marker to add a fun touch. Try making these paper flowers in all different sizes! To easily create the smaller flowers, I used a 1″ hole punch. You can grab one here. Let them have fun with it! They can also do these in solid colors, heart-shaped petals, or add a small circle to the middle. 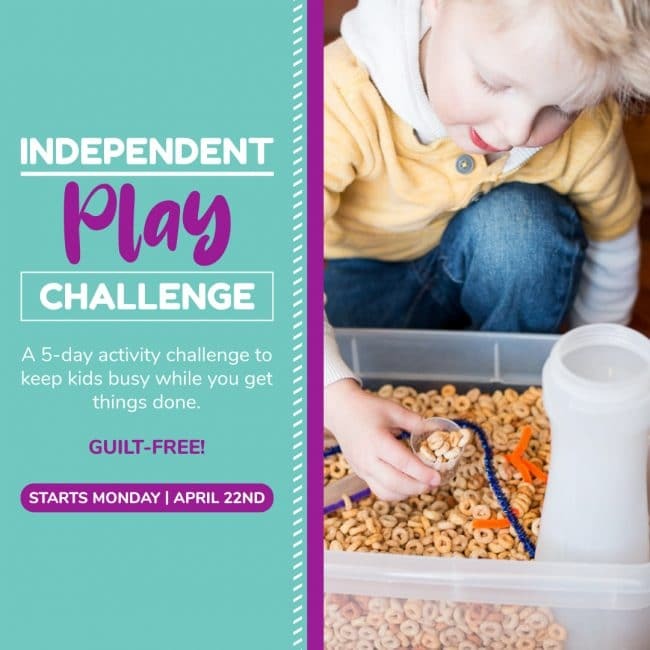 Let your kiddo play around with their creativity. These are great for making cards or an afternoon craft. 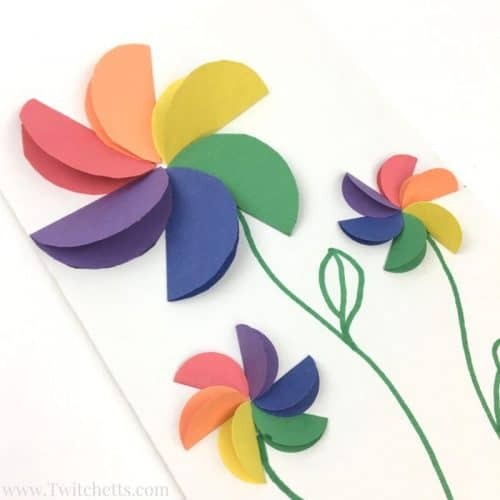 Have fun and enjoy learning how to make flowers out of construction paper. Working with a lot of kids? Our printable template makes it easier!